There has been a lot of attention given to gun violence, since the day Adam Lanza armed himself with hundreds of bullets and took the lives of 20 children and six adults at Sandy Hook Elementary in Newtown, Connecticut. This tragic story has gotten the attention of corporate media, the nation, and even a President who hails from one of the deadliest cities in the country. “We won’t be able to stop every violent act, but if there is even one thing that we can do to prevent any of these events, we have a deep obligation, all of us, to try,” stated President Obama. 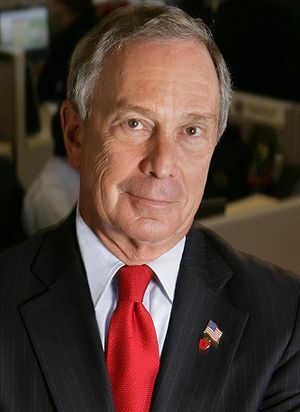 New York Mayor, Michael R. Bloomberg. New York City Mayor Michael Bloomberg, co-founder of Mayors Against Illegal Guns, also joined the chorus launching Demand a Plan, a celebrity backed PSA campaign to reform gun laws. Mayor Bloomberg has been supportive of the controversial, “Stop and Frisk” program of the NYPD that has resulted in over 4 million stops and street interrogations of mostly Black and Latinos in New York City since 2002. According to New York Civil Liberties Union (NYCLU) guns are found in less than 0.2 percent of stops, prompting concerns over racial profiling. Last month, I attended a two-day Gun Policy Summit hosted by Mayor Bloomberg and the John Hopkins University School for Public Health. I was interested in hearing what sort of gun policy recommendations would be proposed and their potential impact on the Black community. According to the research there are over 31,000 incidents of gun violence each year in the United States, but while homicides often make the headlines, there is a less known fact when dealing with issues of gun violence. Out of the 31,000 lives lost due to gun violence, every year 19,000 or almost 2 out of every 3 are suicides. 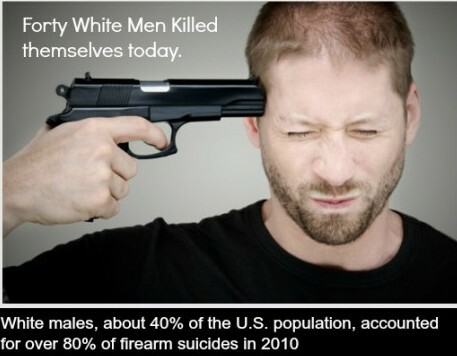 White males accounted for over 80% of gun related suicides in 2010. And according to the American Foundation for Suicide Prevention, yearly medical costs associated with suicide, is nearly $100 million and 90% of people who die by suicide have a diagnosable and treatable psychiatric disorder at the time of their death. Every night we watch Black men on the nightly news who have been involved in gun violence. Gun violence in urban America is a serious issue and Black youth are disproportionately victims of it. When addressing the high rates of homicide in the African-American community, Dr. Linda Frisman told the audience at John Hopkins “that being African-American and Hispanic are really proxies for social and economic disadvantage.” This is something that most Blacks understand. Addressing gun violence in urban America will not be solved with more police and school resource officers as President Obama has recommended or by adding additional security cameras to our schools that stream live to patrol cars and police precincts. If we are serious about reducing gun violence, we must address the social and economic disparities in communities of color. Strong economically secure communities that provide family sustaining wages, affordable housing, culturally relevant and enriching education that equips children with skills to succeed in the 21st century, and love will make schools and neighborhoods safe for our children. Successful faith and community-based programs should be rewarded with additional funds with less money being poured into Police departments that normally respond punitively when dealing with our children. There are studies for every social pathology in the Black community, and policy responses crafted by “experts,” that are often punitive and never seem to be systemic. But for some reason, you can’t find much research on white males and why they are killing themselves at an alarming rate, or why there is a fascination with weapons. What if we began to take the same data and create policy around it? What would it look like? Would it stigmatize white males? Would we have to dispatch mental health professionals to workplaces every time they were laid off? Would we need to send the Bureau of Alcohol, Tobacco, Firearms and Explosives (ATF) to their homes to search and remove their guns? How safe would White women and children feel when their husbands and fathers were laid off? Would white men be considered a High-Risk group for firearm ownership? Or would there be a stop and frisk policy implemented for White men over the age of 50? 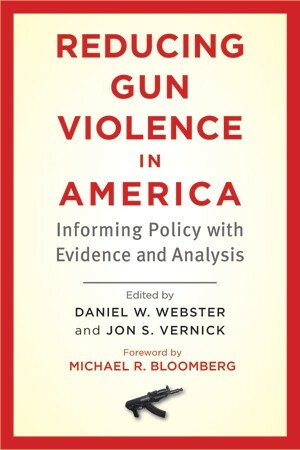 In October of 2012, leading experts from the Johns Hopkins Bloomberg School of Public Health produced a report entitled, “The Case for Gun Policy Reform in America.” Many of the policy recommendations from the expert reports concentrated on Firearms Prohibitions for High-Risk Persons. Though suicide is the leading cause of death by firearms, with White males accounting for over 80%, they were not mentioned in the high risk category. Well, who are the High Risk groups that should be prohibited from owning firearms? Under the section entitled, Why Firearms Prohibitions for High-Risk Persons Should be Broadened the categories include Criminals, Substance Abusers (Illegal Substances) and Youth Under Age 21. It is also important to remember, as Dr. Matthew Miller pointed out, the vast majority guns that kill are handguns and legally owned. I pray for the day when we will beat our swords into plowshares and study war no more. But until then, we must make an honest effort to make sound gun policy. We must make sure that the War-on-Guns does not unfairly target people of color in the same way the War-on-Drugs have devastated our community. This entry was posted in American Politics, Black and Race Blogs, Black Church and Denominations, Black News, Black political action, Commentary and Opinion Pieces, Critical Black Issues, CT Tragedy, Domestic Issues, Government Policies, Guns, Gun Violence and Gun Policy, Law and Justice, State and Local Issues and tagged African American, Gun Policy, Gun violence, Gun Violence Summit, Homocide, John Hopkins University, Latinos, Michael Bloomberg, new york civil liberties union, Newtown, President Obama, public health issue, sandy hook, spotlight, suicide, United Nations, Whites. Bookmark the permalink.